After last minute wins against Watford and Newcastle, many still believe that Tottenham Hotspur are still in the Premier League title race as we enter the last third of the season. 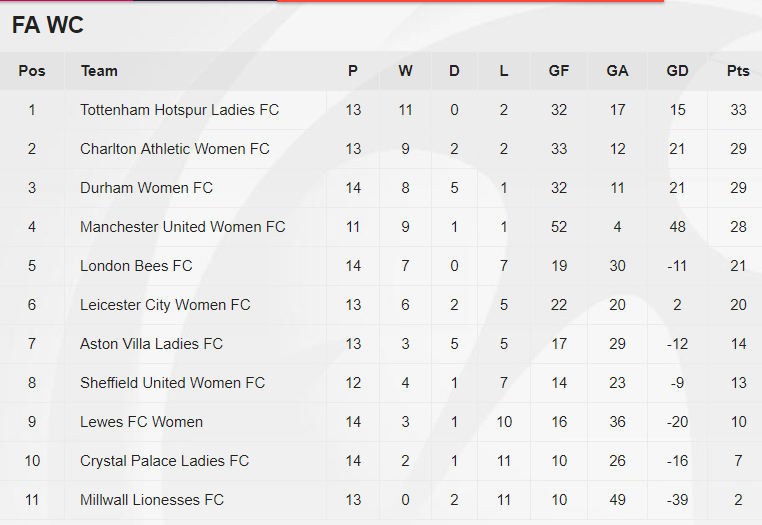 However, Tottenham Hotspur Ladies are having an even better season in the FA Women’s Championship. 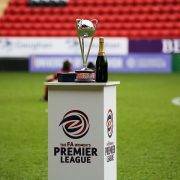 They are currently top of the league and on course for promotion to the FA Women’s Super League. In our last review of the Spurs Ladies’ campaign in December, Spurs had made a positive start in the Women’s Continental Cup whereas Manchester United Ladies looked to be running away with the league, with Spurs in 4th place. Now Karen Hills’ side are top of the FA Women’s Championship and will very much believe that they can gain promotion. Striker Rianna Dean is also the top scorer in the league is twelve goals in as many appearances. Yesterday (Wednesday 6th February) striker Sarah Wiltshire was named the FA Women’s Championship Player of the Month for January. Wiltshire scored in the victories over Sheffield United and Milwall and fought off competition from teammate Rianna Dean, who won the award in October. There were also senior call ups for Megan Wynne and Anna Filbey for Wales, whereas Dean took part in a week-long training camp with the England Women’s under 21 squad. "We had some excellent results and I couldn’t have won this award without my team-mates." Some big games are coming up for Spurs Ladies and the encounter with Manchester United on the 31st March looks like it could be a promotion decider. Here’s our recap of the games in December and January including video highlights of some of the goals. Spurs suffered defeat for the first time in their Continental Cup group, going down 4-2 to London Bees. Karen Hills’ side beat the Bees at home on the opening day of the Women’s Championship season and looked like they would do the same after goals from Rianna Dean and Sarah Wiltshire put them 2-0 up. However the Bees got back into it before halftime and three second half goals gave them the victory. The defeat meant that Spurs Ladies needed to get a positive result in their final group game against Women’s Super League side Chelsea. 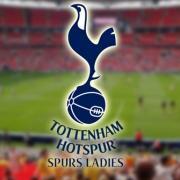 After a disappointing loss against London Bees, Spurs Ladies returned to winning ways four days later in the league. In the final league match of the year, Rianna Dean’s first half effort was enough to give her team all three points. 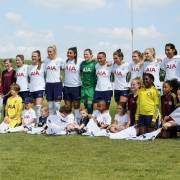 The win meant that Spurs Ladies ended 2018 in 4th place in the Women’s Championship, however they were just one point behind leaders Manchester United and played one game less than second and third placed Charlton and Durham. In the final match of the year, Spurs suffered their worst defeat of the season against one of the best sides in the country. The 5-0 loss resulted in Spurs finishing 4th in their Continental Cup group. Chelsea Women finished top of the group, having scored twenty-five goals in five matches, conceding just twice. After the winter break, Spurs started 2019 with a win against Sheffield United in the Women’s Championship. Once again the goalscorers were Dean and Wiltshire who continued their hot streak. It was an excellent gameweek overall for Spurs, as Charlton and Durham both dropped points by drawing 2-2. In their first home match of 2019, Spurs completed the league double over Lewes to go top of the league. The goals came from England under 19 international Jessica Naz, Rianna Dean and Jenna Schillaci. New signing Emma Beckett made her debut in the match after she signed from London Bees earlier in the week. Beckett was captain over her former club and won the Women’s Championship Player of the Month award for December. Karen Hills’ side moved top of the league due to the cancellation of the game between Charlton and Manchester United because of a serious injury to Charlotte Kerr. That meant Spurs were ahead of United by two points, but they had a game in hand, whilst Charlton were four points adrift in third. Spurs Ladies went four points clear at the top of the Women’s Championship after a crazy finish in the match against Milwall. After goals from Sarah Wiltshire and Emma Beckett (her first for the club) it looked like Spurs were going to win 2-1. However an equaliser from Milwall in the first minute of stoppage time at the end of the second half looked like it would break Spurs’ winning streak. However, with virtually the last kick of the game, Rianna Dean won it for Spurs to secure a vital victory. Spurs progressed to the Fifth Round of the FA Cup with a comfortable victory over Crystal Palace. Jessica Naz, Ashleigh Neville and Coral-Jade Haines all scored and progression to the fifth round equalled their best run in the competition. However, Spurs were handed a tough draw in the next round, being paired with Manchester City Women. Their opponents are top of the Women’s Super League and contain a team full of internationals. ICYMI: We've been drawn at home to @ManCityWomen in the fifth round of the #SSEWomensFACup on Sunday 17th February. What’s Next for Spurs Ladies? On Sunday, Spurs Ladies take on London Bees in the Women’s Championship before they have a home game against Leicester ten days later.